If you are interested in becoming a certified dog trainer then you are going to be very happy to know that many schools are now going to give their students the opportunity to get the training that they need without ever leaving their homes. Many of these courses can be taken online and that is a great way to get the necessary education that you need to be able to work with canines effectively. When you begin looking for coursework to help you become a certified dog trainer you will want to make sure that the courses you are taking are going to be related to dog training. You will not want to be enrolled in a program or college that is going to have several courses that are not related to dogs and training these pets. So, always make sure that you are taking the time to closely review the different courses that are going to be offered. 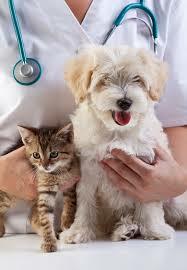 Find online animal care courses today to get started on your new career. You may be curious about what courses you are going to be required to take when you decide to become a certified dog trainer. Many schools may vary a little bit in relation to the courses you are going to take. However, there are many that will be standard no matter where you are attending your schooling. First of all you are going to be expected to take a course in the study of canines. When you do that you are going to be learning about the developmental characteristics of different canine breeds. You are also going to understand health routines and ways to prevent diseases. While you might not think of these things when it comes to dog training, they are all very important to know and understand. Understanding how a dog learns is going to be very important as well. Because of that you will be expected to take a few different courses related to canine learning. This is going to help you learn about some of the best techniques that you can use to teach a dog because you are going to know how they learn. Many of the techniques that you are going to learn will be step by step so that you are learning as much as possible to be effective. There are some courses that will be teaching you about the many different tools that you are going to be able to use when you are training a dog. There are some professionals that are going to use a clicker while others are going to be more willing to use treats. No matter what, you must know that you are going to learn about all of the different tools that you can use for training any breed of dog. What about public speaking? Believe it or not, you will find that you are going to be required to speak in front of others when it comes to begin a dog trainer. Therefore, you must be willing to speak out loud in front of other people and dog owners. Because of this, there are many animal training programs that will expect you to take a speech class or public speaking. This might not be something that you want to do but it will be totally necessary if you want to be good at your job. Last, but not least, you are going to want to consider taking some business classes as well. These courses may really help you if you are thinking about running your own business one day. You are going to need to know what you are doing when it comes to book keeping and such. The more that you learn about business tactics the better off you will be.